In this important and original book, Deanna Petherbridge, herself a practicing artist, affirms the significance of drawing as visual thinking in western art from the 15th century to the present. Scrutinizing a wide range of drawings, Petherbridge confirms a long historical commitment to the primal importance of sketching in generating ideas and problem solving, examines the production of autonomous drawings as gifts or for pleasure, and traces the importance of the life-class and theories of drawing in the training of artists until well into the 20th century. 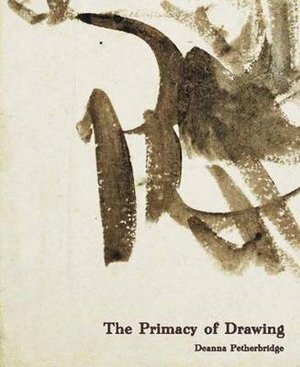 She also addresses the changing role of drawing in relation to contemporary practice and its importance for conceptual artists working in a nonhierarchical manner with a multiplicity of practices, techniques and technologies. In addition to analyzing specific works by Leonardo, Michelangelo, Rembrandt, Goya, Picasso, and other great draftsmen, Petherbridge pays close attention to those artists traditionally regarded as “minor” because of their graphic elaboration or involvement with caricature and play, as well as to the important contribution of women artists in the 20th and 21st centuries. Responding to the vibrant rediscovery of drawing as significant practice in studios, exhibitions, and art schools, Petherbridge proposes an ambitious and novel agenda for the study and enjoyment of drawing.